And they shall make Me a sanctuary that I may dwell among them. This verse from the Book of Exodus, found on the plaque of dedication in our Temple lobby, bespeaks the spiritual commitment of our Temple Sinai family. First and foremost, our synagogue is our spiritual center, grounding us in our tradition and values. 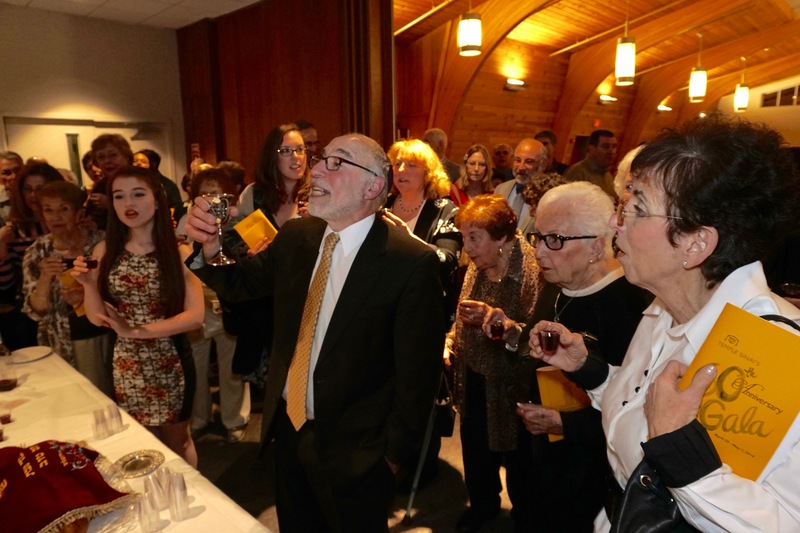 Temple Sinai is a flourishing, vibrant force within both the Jewish Community and the general community. It is a temple that adheres to the cherished values, beliefs and practices of Reform Judaism. Its members are dedicated and active, displaying a true commitment to our heritage. There is a warmth in this congregation that is felt by everyone who enters its doors, There is an abiding sense of the value of each of God’s creations and a deep desire and willingness to enable every person to feel dignity and self-worth. Temple Sinai is a Reform congregation, founded in 1956, serving the spiritual needs of the Jewish community in the Greater Hartford area. We continue to be a growing, vibrant congregation offering a responsive environment for religious needs, educational growth, and social interaction. Today, our membership is comprised of over 400 families and individuals from 25 communities: families with young children at home, single-parent families, the newly married, empty nesters, retirees, and single adults. We welcome the membership of interfaith couples, non-traditional families, and those who want to better understand and participate in Jewish life.